On September 24 and 26, IL&FS Financial Services had defaulted on repayment of commercial papers. Over Rs 5,700-crore worth of debt is due for repayment over the next one year. 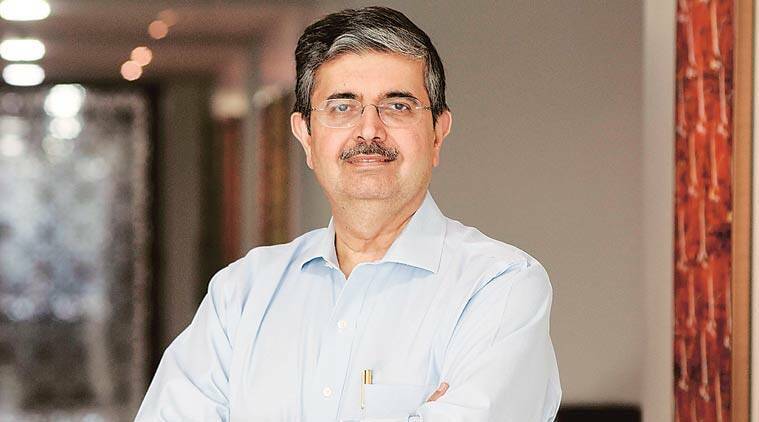 Uday Kotak in 6-member board to chart future of crisis-ridden group. The government on Monday stepped in to take control of crisis-ridden Infrastructure Leasing & Financial Services Ltd (IL&FS) by moving the National Company Law Tribunal (NCLT) to supersede and reconstitute the board of the firm which has defaulted on a series of its debt payments over the last one month. This was said to be an attempt to restore the confidence of financial markets in the credibility and solvency of the infrastructure financing and development group. The move is reminiscent of the decision of the government nine years ago to supersede the board of a private firm, Satyam Computers, after a major accounting scam. NCLT’s Mumbai bench of judges M K Shrawat and Ravikumar Duraisamy, who approved the takeover of IL&FS board by government nominees said, “it’s judicious to invoke Article 241(2) of the Companies Act, 2013” for the supersession of the board. The tribunal approved the government’s proposal to bring in a new six-member board to run the affairs at IL&FS. Its members are: Uday Kotak, Vice Chairman and MD of Kotak Mahindra Bank; retired IAS officer Vineet Nayyar; former Sebi and LIC Chairman G N Bajpai; former IAS officer and ICICI’s non-executive chairperson G C Chaturvedi; Director General of Shipping and Maharashtra cadre IAS officer Malini Shankar and former Deputy Comptroller and Auditor General (CAG) Nand Kishore. The NCLT bench has told the new board members to unanimously elect a chairman from among themselves and directed them to hold the first board meeting before October 8. It also told the new board to submit a report on its findings and a road-map for the debt-laden company before the next date of hearing. The bench issued a notice to IL&FS directing it to respond to all points raised by the Union Government by October 15 this year. The new board will review the operations and funding plan of the IL&FS group and work out a restructuring proposal. It is also likely to revamp the boards of subsidiaries and associate companies. The total liabilities of the IL&FS group stand at Rs 91,000 crore with most of its operating assets owned by its subsidiaries. “The government, after analysing the emerging situation of the IL&FS group, has come to the conclusion that the governance and management change in IL&FS group is very necessary for saving the group from financial collapse, which required an immediate change in the existing board and management and appointment of a new management,” the Ministry of Corporate Affairs said after moving the NCLT. Nine years ago, Satyam Computer’s board was dissolved by the government after its chairman and founder Ramalinga Raju revealed that the company’s profits had been overstated for years and assets falsified in a fraud allegedly worth over Rs 14,000 crore. The government appointed a new set of directors to the board to stabilise business at the software services company which was later sold to Tech Mahindra. The government said the confidence of the financial market in the credibility of the IL&FS management and the company needs to be restored. This would require, it said, a combination of measures including asset sales, restructuring of liabilities and fresh infusion of funds. Citing the “significant liquidity gap in the company,” the government said the fact that is continued to pay “dividends and huge managerial pay-outs” shows that the management had lost credibility. “There have also been serious complaints on some of the companies for which an SFIO investigation has been ordered into the affairs of IL&FS and its subsidiaries,” it said. IL&FS Financial Services had last week defaulted on bank loans, including interest of Rs 284.5 crore to five banks. The company also said it defaulted on repayments of Rs 103.53 crore of term deposit and Rs 52.43 crore of short term deposit. IL&FS on Saturday unveiled a three-part strategy involving a rights offering, a short-term bridge loan, and asset monetisation to get the group back on track. The board agreed to appoint specialist agency Alvarez and Marsal to take this plan forward. However, the IL&FS management did not make any concrete announcement about the fund infusion plan before shareholders at its annual general meeting. IL&FS and group companies have been downgraded to D category (default) by rating agencies ICRA and Care Ratings. IL&FS had proposed a rights issue worth Rs 4,500 crore and a short-term loan of Rs 3,500 crore from State Bank of India and LIC to tide over immediate needs.